May buy any quantity. May redeem any quantity for groups. Must sign waiver. Not valid toward regular specials. Harnesses and shoes not included. Expires 4 months after purchase. See the terms that apply to all deals. 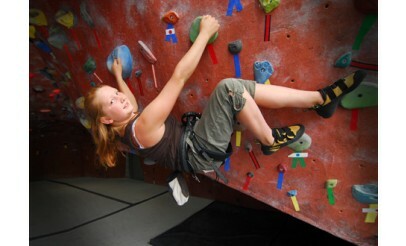 With this offer, you get 2 adult admissions for indoor rock climbing. Everyone is welcome—from the inexperienced to seasoned veterans—The Quarry has routes for all levels of climbing ability. The Quarry opened it’s doors in 2000 with nearly 13,000 feet of wall space—in a facility built from the ground up by climbers—designed for comfort and convenience while rock climbing indoors. They maintain an inventory of over 125 top rope and lead routes, ranging from 5.4-5.13 in difficulty. 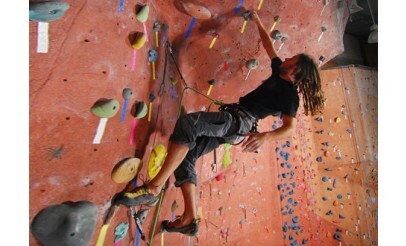 New routes and problems are added weekly.